Laila Majnu Movie 2018 is a Bollywood romantic film. The Starcast of this new Hindi film is Tripti Dimri and Avinash Tiwary. The Director of this film is Sajid Ali. Production Companies are Balaji Motion Pictures and PI Pictures, also the Movie release date is 7th September 2018. The Story and Screenplay writers are Imtiyaz Ali and Sajid Ali. Producers are Ekta Kapoor, Shobha Kapoor and Preety Ali. Niladri Kumar and Joi Barua has composed the Music. Irshad Kamil is the Lyricist. 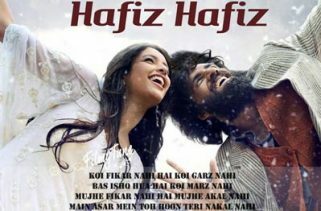 Singers are Arijit Singh, Jonita Gandhi, Atif Aslam, Jyotica Tangri, Shreya Ghoshal and Mohit Chauhan. The Music is originally belongs to Zee Music Company.